This zoning decision could be one of the most important decisions for agriculture for the next 50 years. If you care about climate change, water quality, soil restoration, farm access for dynamic farmers, affordable housing, and diversity in our rural places, please show up to support Grant, and tell the Board of Supervisors that you support this rezoning. Grant Schultz utilizes a regenerative agro-forestry system that is inspired by our natural ecosystem. Rather than fight nature, Grant learns from it. Instead of planting one crop and spraying chemicals to control pests, this model seamlessly integrates perennial fruit and nut bearing trees, pasture, and naturally raised animals such as sheep, goats, and chickens. Rather than deplete the landscape, this system heals it, cleaning water systems, replenishing aquifers, and restoring soil nutrients. This system is labor intensive, requiring a significant amount of housing for on site ag workers. Because he is a leader in his field, Grant also needs housing for onsite educational regenerative agricultural workshops as well for agro-tourism. Finally, he envisions this will be a village based incubator for all types of regen – ag based enterprises. He cannot do any of these things under the current restrictive agricultural zoning restrictions that are nearly 70 years out of date. Ag- residential will allow him to achieve the full potential of this regenerative landscape. In addition to climate change, this regen system is also essential to addressing our environmental crisis – polluted waterways, and contaminated groundwater. Unfortunately, Iowa and other Midwestern farmers have created a gigantic deadzone in the Gulf Mexico. I don’t blame our farmers. They are following the standard model based upon the incentives of our present system. Grants system keeps water onsite, replenishing acquifers rather than depleting, or contaminating them. They need a new model, and Grant is trying do just that. He is trying to prove that a large scale regenerative agro-forestry can create economic abundance while healing our planet. To learn more about the issues, check out his website: versaland.com. His video describes the issues at stake in greater detail. Finally, I want to make one thing abundantly clear. I am a HUGE FAN OF OUR BOARD OF SUPERVISORS. They have provided incredible leadership on a host of issues from the minimum wage to social and racial justice as well as affordable housing. I know their heart is in the right place, and most importantly, have not made up their minds. They need your support. Stand with and support them! I would probably imagine they are not jumping for joy over Grant’s video. Grant has a burning desire to save our planet. And the reality is that we actually don’t have time for hurt feelings right now. I love our supes. I really do, but for this moment, and for this time, we need to set aside our personal egos, and we need to, as our great President Obama taught us, feel the fierce urgency of now. Our planet is literally simultaneously burning up, and drowning because of our cultural hubris, and we must figure out how to feed our planet while restoring our planet’s ecosystems. Our rural places are slowly, but surely descending into the dark shadows of hate and fear. This system, once developed and proven, can be replicated throughout Iowa. Note he is not the only one. There are other innovators, but we are still in the beginning stages of this shift. It will begin the process of renewal and restoration. Visionaries like Grant Schultz are trying to light the way, but we cannot extinguish this through an out of date monocultural agricultural zoning model. I believe that our Supervisors will do the right thing, but they need your support. Show up that at the hearing, and stand up for our planet. It really is that important. This moment will be history making. Join us. We need everyone of you to be there. Let’s start right now the process of healing our planet, and making Eastern Iowa into the epicenter of a new agricultural renaissance in our beautiful state of Iowa. 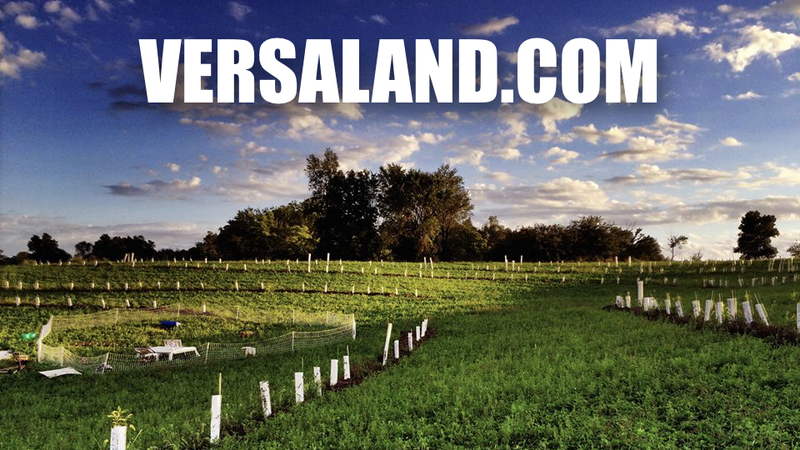 Tomorrow will be a big moment for the history of regenerative agriculture… The Versaland rezoning will begin at 530pm on the 14th of September at the Johnson County Board of Supervisors. Whether for or against, join us for a discussion about very basic questions of what it means to live, work and grow in our rural places. The Village of Morse is incredibly special place. For those of who love it so, we will do everything that we can to honor those traditions while welcoming in new guests and residents who want to bring new traditions, and weave them into your historical fabric. Your threads will remain strong as ever. We seek to add colorful threads to this very special place, making Morse, Iowa the epicenter of an emerging agricultural renaissance. I encourage everyone tomorrow to have a passionate discussion. We want it to be spirited, but don’t impugn, don’t name call, or engage in hate. I assure you we will not respond in kind, but lovingly accept your anger and insults as an incredibly small price to pay to bring healing to this planet, and this larger Johnson County Community. If you are grieving, or living in anger, we hope that you find peace through prayerful meditation and reflection. I stand by Grant Schultz: his work; his knowledge; his expertise; and his vision. I cannot comment upon the claims of others, but only my experiences, and direct observations, the smiles I have witnessed: the birds that I have heard singing, the pop-corn I have eaten while listening to the coyote’s cry, the frozen paw-paws that I have devoured, the animals thriving in a formerly barren place; and the knowledge I have gained. 24. water flows in forests. Prior to Grant’s legal troubles, I was not close friends with Grant. I greatly admired his work, but we only occasionally saw each other and that was mainly when he held tree mob events. Who the heck can get 30 people to show up and work for free just so that they can see what he is doing? I was thrilled I got to talk with Grant while putting on tree covers with Grant. Grant was only mildly irritated when I stepped on as many trees as I helped protect! And the video? Well, I wish he wouldn’t have done it, but that is Grant. He is like the writers and musicians that may do some things we don’t like, but cannot ignore the power of the music, or the pure poetry in the prose. And c’mon people, win, or lose tomorrow, can’t you admit that was an entertaining video? We’re all going to have a good laugh about it the future. He greatly regrets those troubled souls that responded poorly to his call for action (the people that sent the emails not the recipients – he GREATLY REGRETS THAT HAPPENED). Grant is a flawed person like you and I are. As for me, I am standing by Grant Schultz, regardless of what you say about him. I will not turn my back on someone when the chips are down. I stand with them. True, I am his lawyer. To date, I have been paid in permie pork chops, and on occasional crumpled up 20, but I am receiving something much more valuable, the opportunity to preserve something for future generations. I am hoping other kids will have similar magical days like my daughter did. And finally, for those of you who continue to doubt, we’ll be open to visits. We’ll take you on a Versawalk. Pull up your socks; wear some tick repellant, and be prepared to be awed. We’ll show you every square inch of this lovely place of resilient land, buzzing with bees, and sweetly singing birds. You also see his Mad Max style accommodations, the rusty equipment, the hoop house, the incredible view from the hill. It is like one giant piece of performance art, and we can’t wait to show it you! This fall it will be place of autumnal beauty, with golden sunsets, rustling leaves, migrating flocks, and the haunting cry of the coyote. I think of The Pines every time that I am there. In conclusion, I am going to paraphrase something from our beloved President Obama (as relayed to me by Tony Currin). I never feel worse than listening someone demean, or denigrate others. Conversely, I never feel better than when serving others. My Great Grandma Mabel once said that which we do for others, give us the greatest joy. Learn from Barack and Mabel tonight. I have made it my calling in life to work with the Party of Yes We Can and Here’s What We Are Going to do About it! It’s gets bumpy out here. We fail, and we screw up, and we make mistakes, and we get anxious, and we regret the time we hurt the people that we love and respect the most. But don’t you now what we don’t do? Blame others, or make excuses for our own failures. I have failed plenty in this wonderful word of ours, but I accept blame when deserved, and share credit. LIve your life in truth, and stay true to your life’s mission. If you are as inspired by Grant as I am, feel free to share, like, and celebrate this motley community of free spirits that make this place home. Looking forward to a peaceful and lively discussion about the future of our rural places. Below is a video excerpt from the Johnson County Board of Supervisors public meeting regarding the rezoning request for VersaLand. This video by Grant Schultz of VersaLand.com was posted to Facebook on 8 Sep 2017 @ 9:17 AM. it’s being shared here for those who don’t have access to Facebook or prefer to watch the video without advertising. It can also be more easily shared and embedded on web pages. The above blog article is reposted from the original Facebook posts found here and here. The opinions I express here are my own as a private citizen; I don’t speak for the city or the full council.